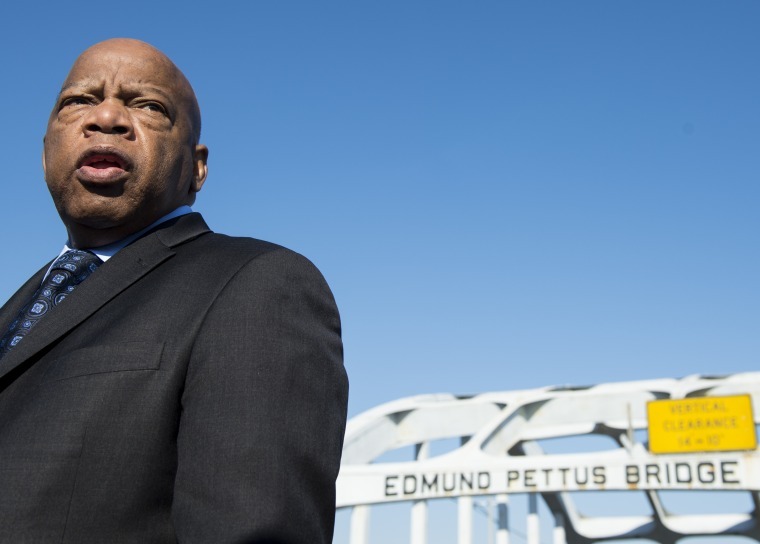 UNITED STATES - FEBRUARY 14: Rep. John Lewis, D-Ga., stands on the Edmund Pettus Bridge in Selma, Ala., in between television interviews on Feb. 14, 2015. Rep. Lewis was beaten by police on the bridge on "Bloody Sunday" 50 years ago on March 7, 1965, during an attempted march for voting rights from Selma to Montgomery. (Photo By Bill Clark/CQ Roll Call)CQ-Roll Call,Inc. A United States Navy replenishment oiler has been named in honor of Georgia congressman and civil rights legend, John Lewis (D-Ga.). Secretary of the Navy, Ray Mabus, made the announcement Wednesday afternoon in Washington, D.C.
Lewis cried when Mabus stopped by his office a few months ago to share what was then an idea, he told NBCBLK. 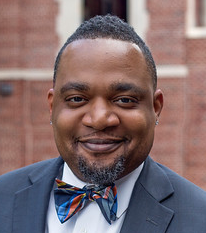 “He said, ‘I have been so moved and inspired by your work and others during the civil rights movement. My idea is to name a ship in your honor,’” Lewis said. The USNS John Lewis is the first of the next generation of ships of its kind – fleet replenishment oilers (T-AO 205). Usually 677.5 feet long, 97.5 feet wide and anywhere between 40,000 to 41,225 in tons, oilers are responsible for providing fuel replenishment as well as fleet cargo and store to ships at sea. Lewis, who never learned to swim, said he kept reflecting on growing up in rural Alabama. During the ship-naming ceremony, Mabus pointed to Lewis’ role in the civil rights movement as reason enough for such an honor. According to Lewis’ office, all of the ships within this class of fleet replenishment oilers will be named after Civil Rights heroes. Lewis was elected to Congress in 1986 after speaking, marching and organizing during the civil rights movement. He participated in the "Freedom Rides," served as chairman of the Student Nonviolent Coordinating Committee (SNCC), and was also a keynote speaker at the historic March on Washington in 1963. He is mostly widely remembered for surviving being attacked by Alabama state troopers during Bloody Sunday in Selma, Alabama in 1965. "T-AO 205 will, for decades to come, serve as a visible symbol of the freedoms Representative Lewis holds dear, and his example will live on in the steel of that ship and in all those who will serve aboard her, " said Mabus. There are at least nine navy ships named for notable African Americans, according to the Naval Historical Center. The first, USS Harmon, was named in 1942 for Mess Attendant First Class Leonard Roy Harmon. Since then, George Washington Carver and the first African American naval aviator, Jesse L. Brown, have also had ships named for them posthumously. During his tenure as Secretary of the Navy, Mabus has named ships after other civil and workers rights icons, including the Lewis and Clark-class dry cargo ships USNS Medgar Evers (T-AKE-13).